HOSTEL 64 Osaka : staff blog: Abandoned Japan, Nagasaki Gunkan Island. 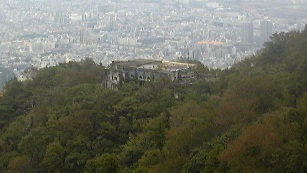 Abandoned Japan, Nagasaki Gunkan Island. the building still have something. a sense of existence. I felt. The hotel is called Maya Kankou Hotel from 1920's. It couldn't exist as a hotel many years because of non accessible by car. Japan had been had motorization era since then. However, some photographers or artists focus on those buildings. Ironically it might be more artistic than before. 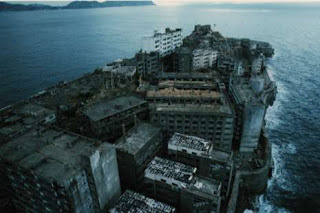 One of the famous island called "Gunkanjima"in Nagasaki. The tour operating a year round. looks like Alcatraz Island in the US. coal mining island. 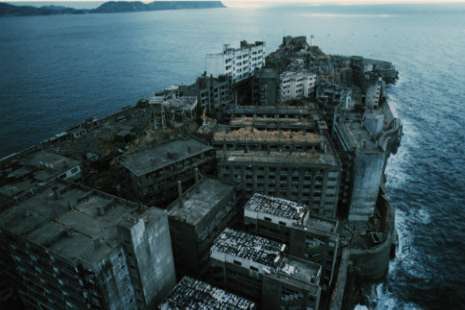 5000 people were living there. It was a maximum population density area in the world. The history of the buildings makes them more having air of substance. Most of the reason they were gone is the situation of economics has changed. had been alive with standing in the front of there. From Osaka I recommend "Imujima"Island which was the remains of a copper refinery.